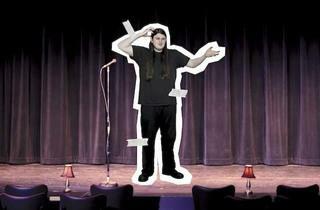 How will the addition of two new stand-up clubs impact local comics? At the 24-hour Starbucks at North and Wells in Old Town, local comedian Junior Stopka is firing on all cylinders. “Let’s steal a laptop and shoot a hipster!” he declares (a little too loudly) as he barrels toward the counter. Stopka is in full lunatic mode as he proceeds to needle the cashier for his sartorial choices and another worker’s barista skills. The staff is at first chagrined, faced with this odd-looking dude with long, parted-down-the-middle hair and a perfectly round face intensely paled by 30 Chicago winters, but the employees eventually warm to his charms. Oddly, it takes a café mocha to settle him down. By many accounts (including the Chicago Reader, and to a lesser but still enthusiastic extent, this publication), Stopka, an essentially homeless Humboldt Park native who hops around from his parents’ house to his sister’s and to friends’ couches, is the best joke slinger in town. His brain is a chaotic web of brilliant non sequiturs that, when taken out of context, sound like the ravings of a madman. Onstage, he’ll rant about picking off joggers in Lincoln Park with his sniper rifle, wildly swirl his hair around, then shift gears to advocate for the legalization of gay test-tube baby marriage (you had to be there). When he’s killing, it’s hard not to be captivated. But there’s not much room for Stopka to grow in Chicago anymore. He already plays most of the smaller rooms in town, such as the Lincoln Lodge, Chicago Underground Comedy at Beat Kitchen, the Comedy Bar and the Comedians You Should Know series at Timothy O’Toole’s, and produces a roaming, invite-only show called “Señorita Weiner’s TOP SECRET Humor Experiment and Ice Cream Social Club.” He also recently featured (an industry term for performing as the opening act) for comedian Doug Stanhope at the Mayne Stage in Rogers Park. 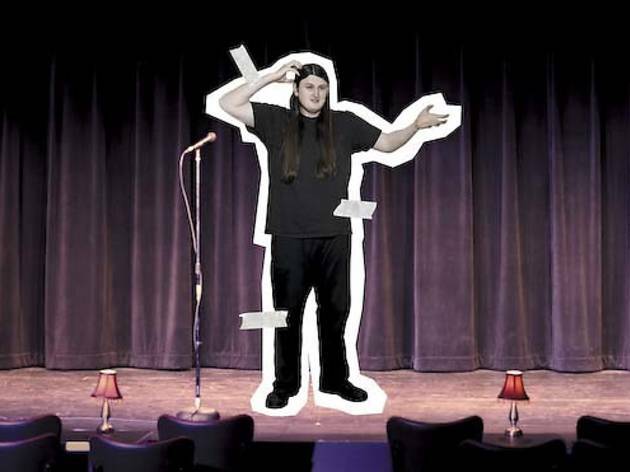 But aside from Zanies and Bronzeville’s Jokes & Notes, the only permanent, full-time stand-up comedy clubs in Chicago, local comedians like Stopka have few places left to go. 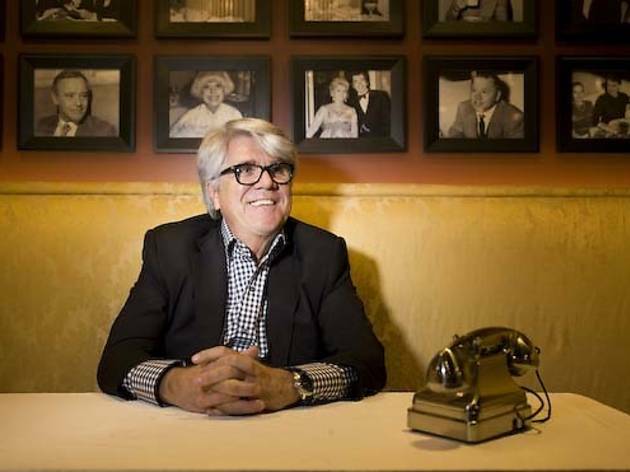 That could change mid-February, when Second City hosts the grand opening of its latest venture, the UP Comedy Club, a 285-seat stand-up and cabaret-style venue in the old Tony ’n Tina’s Wedding space that boasts unobstructed sightlines and the Pump Room’s original Booth One. And it’s not the only new game in town. Opening this month in East Lakeview in the space once occupied by another stand-up club, the Lakeshore Theater, is the nearly 400-seat Laugh Factory, a local outpost of the L.A.-based chain whose first comedy show in 1979 featured Richard Pryor. 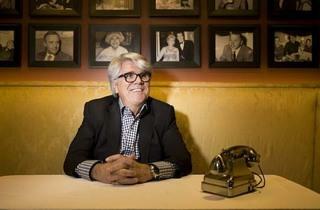 Coincidentally, Zanies also has plans to open another Chicago-area location, in Rosemont, by mid-April. After years without much in the way of full-time clubs, Chicago is experiencing its own stand-up renaissance. Stopka’s skepticism is understandable. Stand-up comedy clubs haven’t flourished here in more than a decade. A nationwide club boom that crested in the ’80s and ’90s included a dozen-plus Chicagoland venues like Catch a Rising Star, the Chicago Improv (which still has a Schaumburg outpost), the Funny Firm and All Jokes Aside. But that was long ago. Thanks to the rise of comedy specials on cable TV and big-name comics moving toward stadiums and large theaters, the club scene dwindled by the mid-’90s. Lately, many national headliners have been performing in rock venues like the Park West and the Vic. Part of the reason for the dearth of comedy clubs is that, as with the music industry, the model has changed. Emerging comedians view stage time at clubs as just one part of a larger picture that also includes producing their own night in the back room of a bar, uploading clips on YouTube and launching a podcast. “The industry as a whole is turning away from the traditional comedy-club model,” says Chris Ritter, former owner of the Lakeshore Theater, which hosted comedy acts until it closed in 2010, and current GM at Mayne Stage, which features stand-up and music acts. “It’s moving away from that idea that comedy is a generic product that anybody can deliver, and individual voices are being accepted more from the public.” Headliners like Stanhope and Paul F. Tompkins have argued against the comedy-club model, which pays comedians a set amount in exchange for a grueling five or six shows a weekend in front of generic audiences, in favor of making the same amount by doing a single show in a bar packed with diehard fans who have been alerted to the show in advance via Facebook and Twitter. 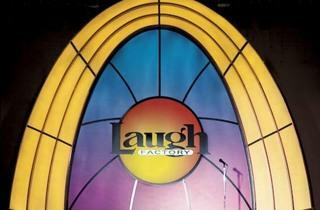 Though both UP and Laugh Factory look like traditional comedy clubs, their respective owners believe they’ll succeed. 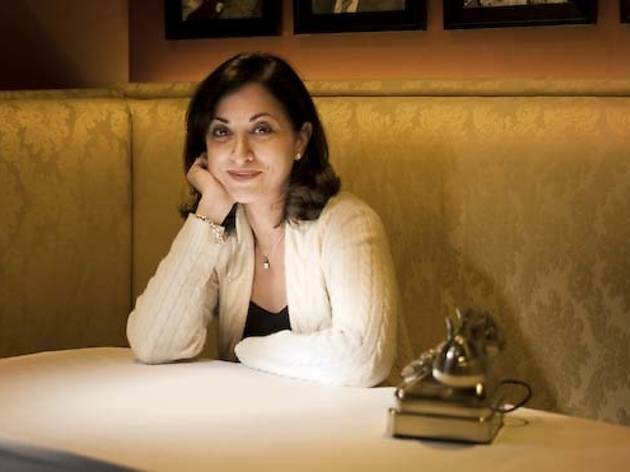 “There’s, like, 17 stand-up comedy clubs in New York and three in the Chicagoland area, and we’re supposed to be the home of improv and comedy,” says Second City president Diana Martinez, who notes that the institution turns away large crowds from its Mainstage and e.t.c. 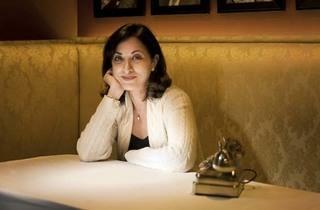 theaters on weekends, which she says indicates demand for more offerings. “We were like, Whoa, there is an opportunity here.” Second City CEO and executive producer Andrew Alexander agrees. “I think it’s a stable industry,” he says, pointing to Levity Entertainment’s Improv chain, which has 35 locations nationwide and with whom UP is a partner. “There was a lot of culling out of people who just kind of got into [stand-up] and it was definitely overexposed in the ’80s.” UP will augment its revenue with off-night ancillary products like The Second City History of Chicago, a collection of new and archival sketch material that pokes fun at the Windy City, and solo shows by its vaunted alumni, and Second City has talked with The Onion about staging live podcasts. Outside the Starbucks where Stopka and I are drinking coffee, we spot folks spilling out of Piper’s Alley, some of whom surely are among the thousands of students who come to the Second City Training Center each year in search of stardom. I ask Stopka about his own plan of attack. “Right now, I’m probably the dumbest person when it comes to having a strategy,” he says, referring to the fact that he’s only recently put up a website (juniorstopka.com) and landed a few Midwest gigs. When I ask him about auditioning for Second City’s Next UP, a talent competition for local stand-ups that happened earlier this month, Stopka bristles. “They want people to bring people,” Stopka says, referring to the club practice of having the comedians pack a joint with friends. “You got a New York guy running that. That’s what I think. This isn’t New York, buddy. This is scumbag Chicago. If people know it’s a good show, they’ll show up. That’s all you gotta know.” The purpose of the event, according to Second City, was to showcase local talent and give one winner a future opening slot (and no, it wasn’t run by a New Yorker). Other local comedians I spoke with are also skeptical about whether they’ll find stage time at venues so big that national headliners will have to be booked often to fill seats and make ends meet. “Most comics don’t get booked anywhere, so I can’t imagine they’re super excited about another place that won’t return their e-mails,” says Drew Michael, a cofounder of Comedians You Should Know. But Martinez and Alexander assure me Second City plans to nurture local stand-ups the way it does improvisers, while Masada points to the Fresh Faces showcase at the Laugh Factory in Hollywood as proof of his commitment to young blood. (He also recently offered to send taped auditions for the relaunch of In Living Color from Chicago comedians to network execs in L.A. and even fly out any local people who were offered callbacks.) 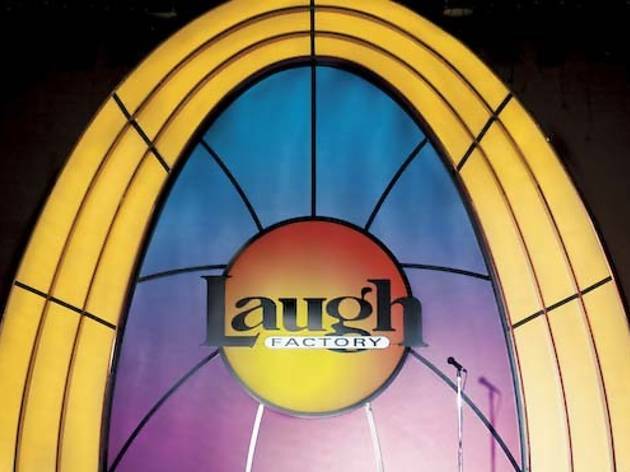 Second City and Laugh Factory will also invite local comedians to partake in off-night showcases and open mics at their clubs and, more enticingly, nab hosting and feature slots on weekends. “For the middle acts, you do need local people,” says Mike Lebovitz, another Comedians You Should Know cofounder, who has featured at Zanies. “If you were bringing in people from other places [for those slots], it would almost seem like you were vindictively trying to make a point.” Booking locals in these slots could be good news for comedians like Lebovitz, who would like to make a living at stand-up in Chicago, though it would still require heavily working the road. Regardless, most comedians, who augment stand-up with acting and writing gigs, still see the leap to either New York or Los Angeles as inevitable. “There’s no possible way to make a living staying in Chicago at all,” Stopka says. The TV and motion-picture industry at best shoots here infrequently. “They think Chicago is a Midwest hick town.” Buscemi agrees. “There are so few cameras in Chicago and that’s where the money is—TV and movies. So until that changes, there’s no comparison and people will always migrate to L.A. and NYC.” Buscemi says he’d still have moved to L.A. if UP and Laugh Factory had opened while he was living in Chicago. To cement the city’s status as a formidable training ground for emerging stand-up talent, Second City needs to prove it’s as committed to the art form as it is to sketch comedy, while the Laugh Factory, delayed several times, needs to open its doors already. Sure, folks like Stopka and others may still bolt for the coasts eventually (“I have no home, so I’ll go anywhere I want,” says Stopka, who recently toured with Stanhope. “I just need enough money for gas and I’m there.”), but if we can take our funniest folk out of the back room of a bar and put them in front of the masses, all of Chicagoland will one day be able to brag we knew them first. Sign up for Time Out Chicago's Unscripted e-mail newsletter to get our editors' top picks in theater, dance and comedy plus interviews, reviews and more in your inbox every Wednesday.